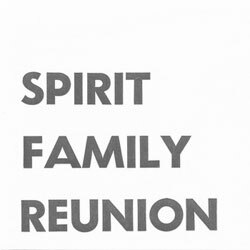 Spirit Family Reunion will released the proper debut album “No Separation” on June 15, a follow-up to their widely celebrated self-titled EP. “No Separation” highlights the band’s infectious sound with a blend of bluegrass and gospel revival, poised with soulful honesty. Marked in traditional roots, few New York-based bands can achieve an authentic, banjo-laden country sound while maintaining such an effortless appeal. The band will celebrate the release of “No Separation” with appearances at Newport Folk Festival and tour with Alabama Shakes. The band has received some high honors in recent months, which included sharing the stage with the late Levon Helm, whom they played with as his last few performances in Tarrytown before succumbing to cancer. The experience not only helped give the band the recognition they deserved, but it helped cement their status as the next great South Rock Revivalists. What was it like playing with the late Levon Helm at some of his last performances? Playing with Levon helm was a dream come true for us. We had the great fortune to open for his band for times in the past half-year, in our home state of New York. The man was clearly dedicated to his music, and his home. On a farm for a fall harvest festival, in his home for a January Midnight Ramble, and a double header at the gorgeous Tarrytown Music Hall in March for what turned out to be a triumphant farewell. He brought a lot of joy and good times to a lot of good people upstate in his last days, and it was an honor just to be there. He sang so good on those last nights. He really did it right. What are you guys most looking forward to with the release of "No Separation"? Having a full proper album to share with people, it feels like a new step for us, and we're excited to see what it becomes. Celebrate Brooklyn is our big hometown stage, so we're really excited to get up there for our turn and have some fun. Newport is like a living museum. We're thrilled to be there this year, and to find some remaining space we can scratch our name in, in the shadows of some true giants. You’ve shared the bill with some amazing acts, like Alabama Shakes, Levon Helm, and so many others. Who are some of your favorite artists that you’ve gotten to play with? We're at the end of a tour right now with two of our favorite bands and old high school friends Hurray for the Riff Raff, and the Broken Wing Routine. I wish we could play every show with them, they're both so damn good. You recorded “No Separation” in both Brooklyn and Richmond, VA. What took you guys to Virginia? Our friend Adrian runs a studio in Richmond called sound dog. We were on our way home from tour in September and we wanted to stop by for a few days and record and he kindly obliged. It's a pretty sweet studio. 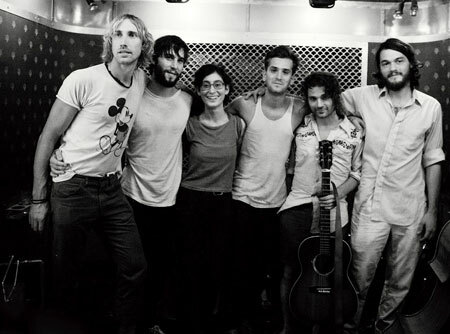 Otherwise we recorded with our good pal at home in Brooklyn. "Having a full proper album to share with people, it feels like a new step for us, and we're excited to see what it becomes." Pregame music for a night of barn dancing. For those who like: Mumford and Sons, Trampled by Turtles, Avett Brothers.